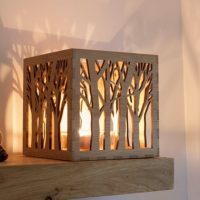 If you are in search of an easy DIY project which will only take you a few minutes and a few simple steps, I think you’ll enjoy my new video tutorial. 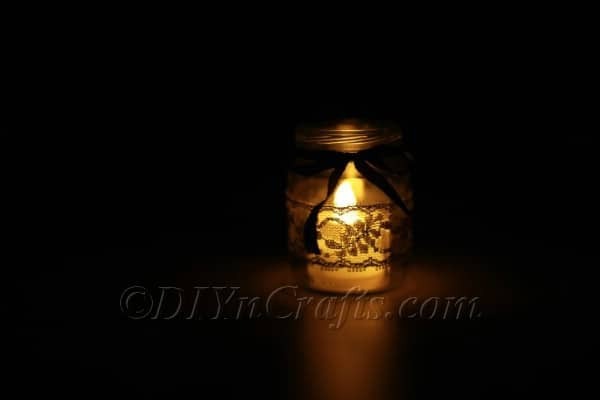 In this video, I will show you how you can transform an ordinary glass jar into an elegant lantern using just a few basic supplies. 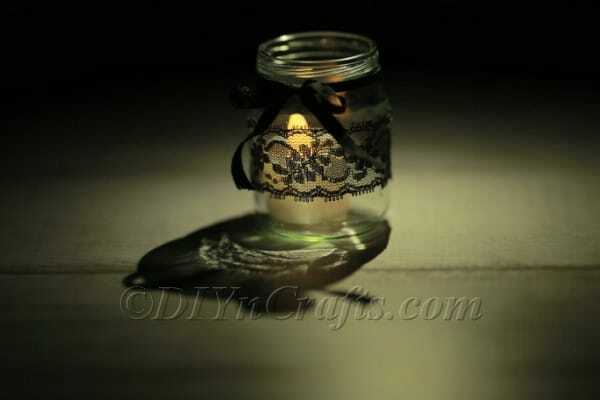 For this project, you will need a small glass jar and a candle or LED light to go inside. Aside from that, you just need hot glue and a pair of scissors and some ribbon and lace. 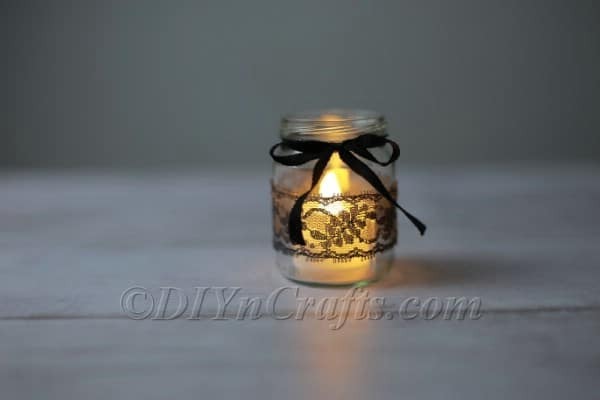 I went with black for the lace and ribbon to create contrast and help them stand out. But there is no reason that you need to stick with black. 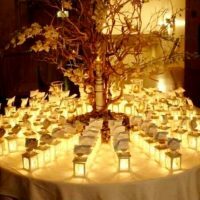 You could use white or red or blue or any other color (or combination of colors) and achieve a lovely effect. Now that you know what you need, we can get on to the video. Below, you can find a set of written steps to help you understand what you see in the video. Sometimes the easiest craft projects are the ones with the most stunning results. 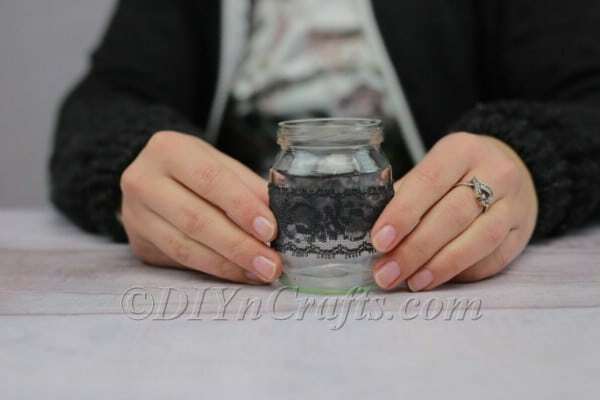 In this easy video, I show you how you can enhance an ordinary glass jar with lace, turning it into a beautiful lantern. Watch the video now to make your own! 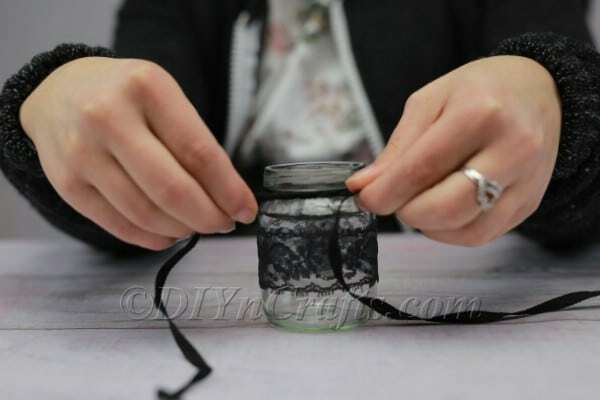 Begin by cutting enough lace to reach around the circumference of your jar in the center. 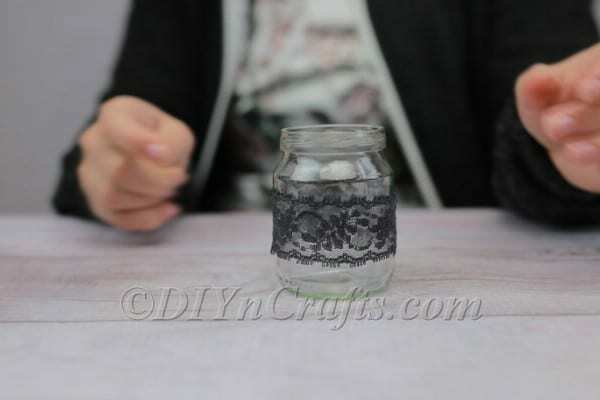 Next, use hot glue to attach the lace securely around the jar. 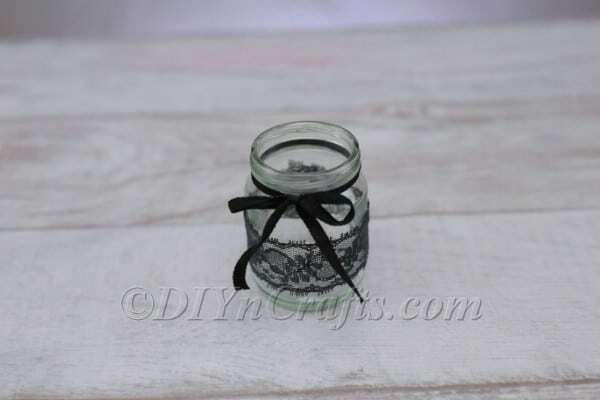 The next step is simply to tie a ribbon around the neck of the jar and make a nice bow. 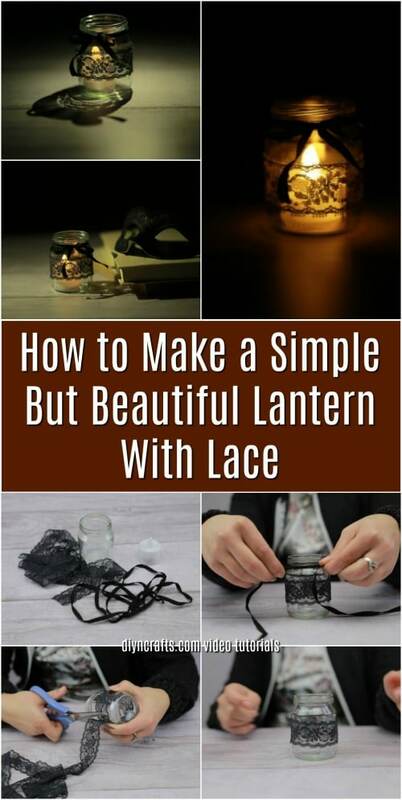 The last step is simply to figure out where you want to display your lantern, and put an LED tea light or candle inside to enjoy. 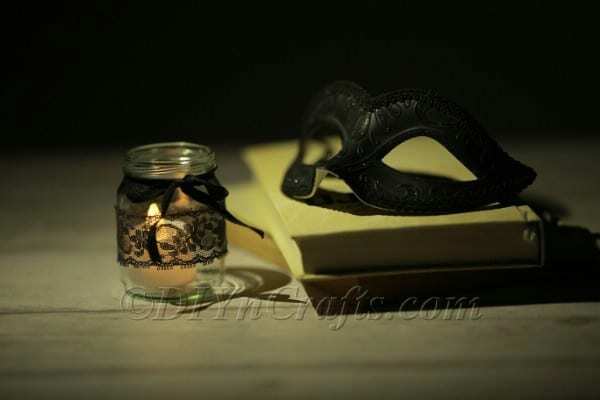 As you can see, this is one of the romantic and easiest DIY decorating project imaginable. 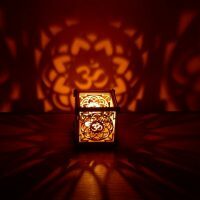 But the result you get looks quite beautiful and professional, and would make a lovely compliment to any table, windowsill, or other surface in your house. Because these are fast and easy to make, they also are a great last-minute gift idea for any occasion. 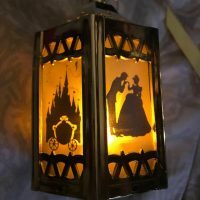 If you enjoyed making this lace lantern, I have a couple other newly-added video tutorials to share with you for Valentine’s Day. 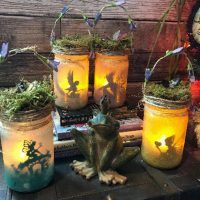 Discover how to make a romantic heart lantern, and how to make a set of lights which spell out the word, “LOVE.” If you are looking for another DIY lantern project which is ideal for any time of year, make your own fairy lanterns. Enjoy crafting, and make sure that you drop by again very soon! I will have a lot more video tutorials posted for you in the near future.